What's The Worst Retro Car Ever Made? Automobiles are futuristic things, ushering us into a faster, smaller, more explosive world. Sometimes, however, the sticky syrup of nostalgia creeps over car design and we are stuck with yet another retro humbug. Not all retro cars are bad (something plain to anyone who has seen a Ford GT, or spotted a Nissan S-Cargo), but many are just tacky and thoughtless and bad. 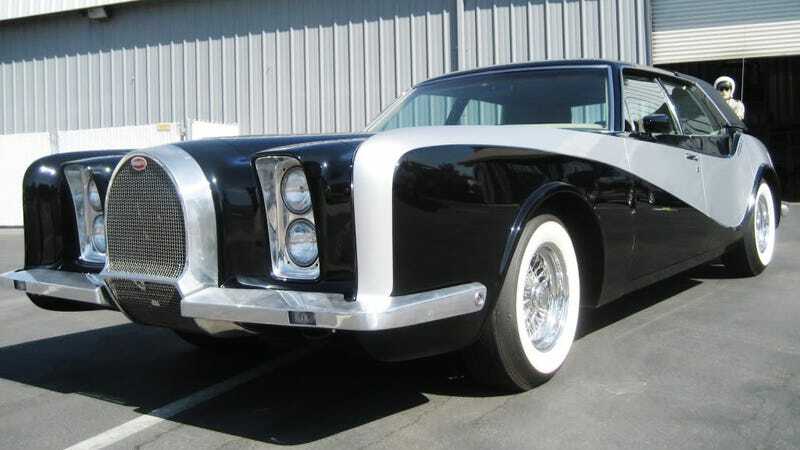 The above car is a 1970s attempt by a couple of Californians to restart Bugatti using a Lincoln Continental as a base and adding retro touches from there. As if it wasn’t bad enough that the ‘73 Conti was coffin-nose Cord ripoff in the first place. What do you think is the worst retro car ever made? There are more turds than you might think.